Among the common phone unlock errors is the “Invalid MMI Code Error”. This error happens rarely on other phone brands except the Samsung Galaxy series that are dual sim, or phones that can cater two different sim cards from two different networks at the same time. Before we hop onto the troubleshooting, let’s briefly go through the technical aspect of MMI codes. MMI codes or Man-Machine Codes, are special codes you dial on your phone to communicate with your phone, SIM, or with your service provider’s network operator computers. By dialing MMI codes on your phone you will be able to obtain valuable data or change phone/ sim settings you can’t access through the phone’s user interface. MMI codes usually contain special characters such as the asterisk * and the # hash. Among the most common MMI codes used to communicate with your phone is *#06#, and it is the code to get your phone’s IMEI/Serial number. Another set of MMI codes are USSD codes. They are also known as Quick Codes or Feature Codes, and they are used in GSM cellular telephones to communicate with their mobile network operators. You often use USSD codes to check your prepaid card balance. How do MMI Codes work? When you dial the MMI code in your phone, it is processed by your phone’s MMI reader, and if or when it does not recognize the code, it is then sent to the network verbatim. Say for example, you have sent the code *09876*54321# your phone’s MMI parser will send the “command” to the phone, and if it doesn’t recognize the code as an internal command, it will then send it to your network operator verbatim. 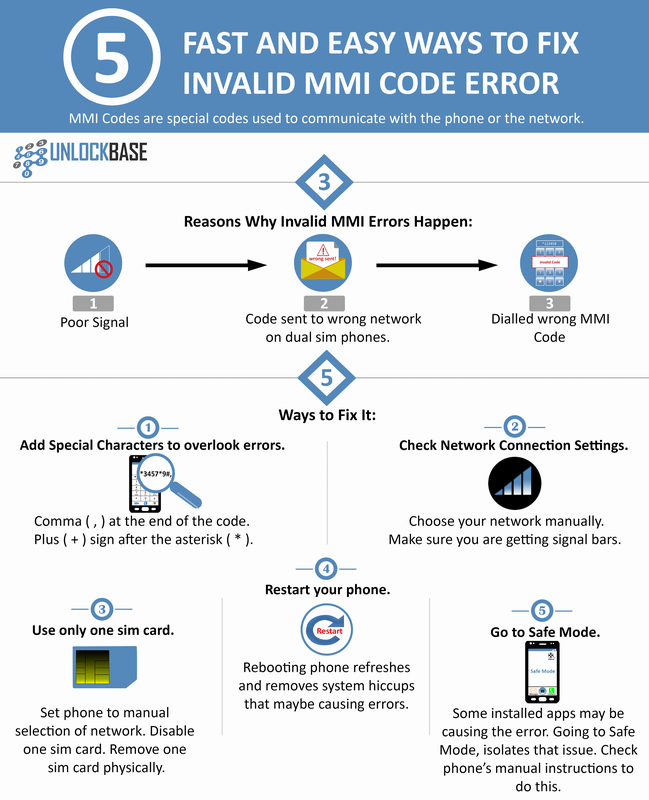 Your network has a specific list of MMI codes they use on their own so if it returns with a “Connection Problem or invalid MMI code” message, it means that the MMI code you have used is not recognized or your phone failed to connect to your network. Fixing an MMI code error is fairly easy and in order to resolve the issue, we need to isolate the probable causes. To do this, we need to examine the path that the MMI code goes to before it reaches your network. First, the MMI code is processed by your phone. The phone then checks whether the MMI code is an internal command; if not, the phone then sends it to the network or your service provider. Your service provider’s network computers then reads the code and sends the message back to your phone. If you are getting an invalid MMI code error, there are only three possibilities. (1) You have poor signal or not getting network connection. (2) You have dialed the wrong MMI code. Note: Do not mistake the MMI Code to be the same code UnlockBase has sent you. UnlockBase only sends Sim Unlock Codes and do not personally have your MMI code information. You can get the correct MMI code from your current service provider (see sim card information). 1. Check the code you are using. Add additional special characters. You can try adding a comma ( , )at the end of the code before you send it. The comma, as an additional character will tell your phone to overlook other errors on the phone and send it to the network. The plus ( + ) sign will tell your phone to force process the execution and overlook other phone errors that may be in the way. 2. Check your Network Connection Settings. Another reason why your phone sends you an MMI error is the lack of network connection. If the MMI code you are sending is a code to check your prepaid balance, or anything that is specifically a function of your network operator, you need to make sure that your phone is connected to your network. If you are otherwise not getting any signal bars, your phone is probably not yet connected to your network and you have to reconnect to it manually. Most of the time it connects automatically but there are also times when you have to manually select your service provider in order to connect to their network. Choose the network you wish to connect to. You have to wait a few seconds for the phone to connect or you may have to repeat the process over until your phone is connected. Unless you get the signal bars going, you won’t be able solve the MMI code error (network-specific functions). This is the usual process for most Android devices with stock Android ROM and user interface. You know your phone is already connected to your mobile network when you are getting signal bars that shows 4G, LTE, 3G, etc. You can try dialling the MMI code again. 3. Disable or use only one sim card. If you are using two sim cards and your calls, text, or data automatically route to one specific network on your phone without asking you to manually choose network, there’s a possibility that your phone is sending the MMI code to the wrong network. In order to isolate the issue you have three possible options; (1) set your phone to prompt for manual selection of network, (2) disable one of the sim cards, and (3) remove the other sim card physically. You have to set your phone to prompt for manual mobile network selection to “Always ask” before making a call. You can do this by going into Settings > Sim Settings /Dual Sim Settings > Voice/Call > Always Ask. On the other hand, if you wish to disable the other sim card, just slide off the network name of the sim card you want to disable using the same route as earlier. The third option no matter how inconvenient, can be the most effective way to isolate the problem. Removing the other sim card physically will automatically make your phone choose the network of the only sim card left. Restarting your phone refreshes it from its most recent operations. Sometimes errors on the phone are just a product of simple system hiccups that can be solved only through a restart, so it’s advisable your restart your phone when all the other steps have been taken. Most of the time simply restarting your phone resolves the issue. 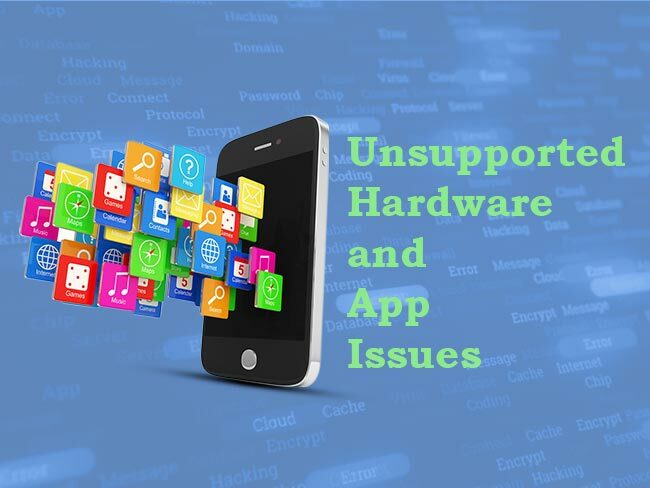 There are also cases when the phone’s MMI code error is caused by an app or a specific software installed the phone. 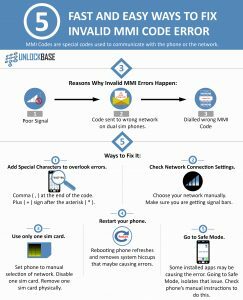 Many users have been able to resolve the MMI code error by removing certain apps on their phone that’s hindering the code to go through the network operator. When you reboot into Safe Mode, your phone will not load any third-party apps and only the stock apps that came with the original OS will be available. Furthermore, this means that all the apps you have downloaded will not be available in Safe mode, and this will help you determine whether any of the apps you have manually downloaded and installed are causing the MMI code error. Going to Safe Mode is the second to the last resort, if only all the before mentioned possible resolutions have been attempted many times. It is fairly easy to do and your phone will go back to its normal state once you reboot it again. Tap and hold power button (off) for a few seconds until your phone flashes a prompt box that confirms you want to reboot into safe mode. Tap ok and phone will not restart to Safe Mode. Once you are in Safe Mode, try entering the MMI code again and see if you are seeing the same error. If you are able to go through this time, then it means one of the apps you downloaded in your phone is causing the problem. MMI code errors are easy to fix and if you think you are lost or are needing help with this problem, don’t hesitate to talk to us. We are a global enterprise with 24/7 support and we are ready to help you anytime! Did we miss anything here? Did you experience this error in the past? How did you solve it? Drop it in the comments! If you still haven’t gotten yourself a new phone or if you are looking for a cheap steal, then MetroPCS has got something for you. 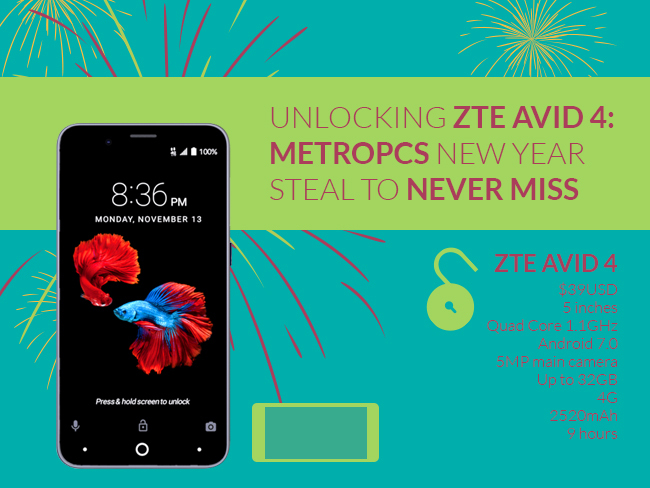 ZTE Avid 4 is out in MetroPCS and just like its brothers in the ZTE family, it is mid-ranged price and a perfect budget phone for anyone who wants value for money more than fancy brands or flagships. The phone comes at a bargain price of $39USD (*after all discount and rebates) without contract and you can easily pick one from any MetroPCS stores near you. If this phone doesn’t convince you enough or if you are looking for more options you can take a look at these MetroPCS Phones of 2017 Under $100USD. 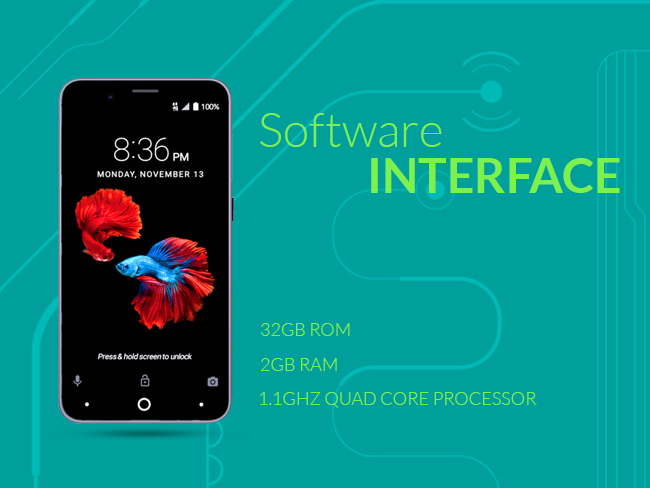 You’ll be amazed how far your one hundred bucks is going to get you, but for now, let’s take a look at what ZTE Avid 4 has got to offer by comparing it to other phones in the budget phone department. ZTE Avid 4 isn’t a show-stopper type because it doesn’t have a glossy glass front and back cover, but what it boasts instead is a big 5” screen with an FWVGA display. It does look like a mini ZTE Blade Z Max, standing at 6”, which you can get at a meager *$99 (after all discount and rebate offers). It is 4G LTE enabled which runs perfectly on the fast MetroPCS network. The biggest caveat on this specific model is that it comes only in one color – BLACK. On the other hand, if you are fan of headsets, this phone will not disappoint you because it has a 3.5mm headphone jack sitting at the top. 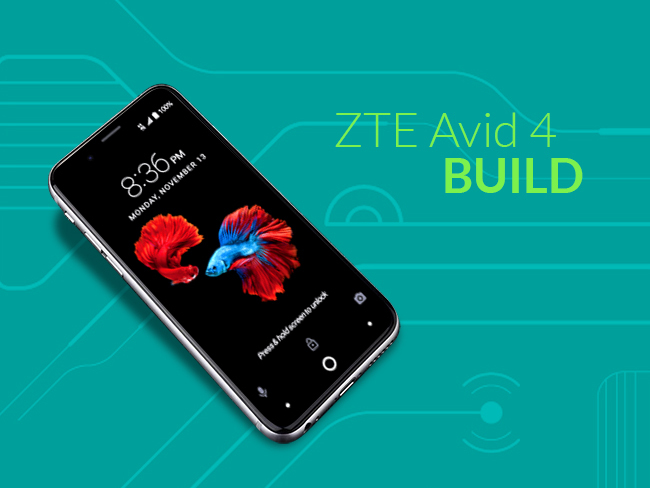 Unlike most mid-range phones, this ZTE Avid 4 doesn’t have any fingerprint sensors for security so you’ll have to stick with the basic password or pin to lock your phone. The ZTE Avid 4 also has a clean and spacious dock that gives you the basic apps and features like most Android devices. It’s running on Ice Cream Sandwich and it has 1.1GHz Quad Core Processor, so you can consider that it is fast, interactive, and smooth when using multiple apps at the same time. The phone’s Settings is organized just like any stock Android. It has 32GB ROM and 2GB RAM which gives a pretty decent amount of storage for all your pictures and a seamless music and video streaming, and mobile gaming. The internal memory is unfortunately not expandable via MicroSD Card but only up to 32GB. The phone is also pretty straightforward to use – that is if you are used to using Android. The battery life in the ZTE Avid 4 is pretty disappointing because it only has an average of 9 hours talk time from its 2520mAh battery. And compared to the ZTE Blade Z Max it does come almost half the battery life because it has a whopping 4080mAh and can handle up to 31 hours of talk time. You can use its USB port to charge it or in transferring data from your phone to your computer or vise versa. This phone isn’t really the best in the mid-range camera department but it prides a few features that you might also like. It has a 5MP autofocus main camera. You can take videos in Panorama mode and you can also take photos while recording a video at the same time. Other than this, the camera on this one is pretty average and wouldn’t stand out in the tight mid-range or budget phone competition. It is not even on par with other ZTE released mid-range phones. However, considering the price, it surely is a bang for the buck. The ZTE Avid 4 wouldn’t really stand out compared to its other ZTE brothers nor to other mid-range phones out there. Nonetheless, considering its specs and features, we can safely assume that it does more for its price tag. Want to Unlock Your ZTE Avid 4? An unlocked ZTE Avid 4 phone is a good gift for yourself or for a friend. It could serve as your budget back up phone or you can give it to someone who is using a different network or maybe living in a different country. 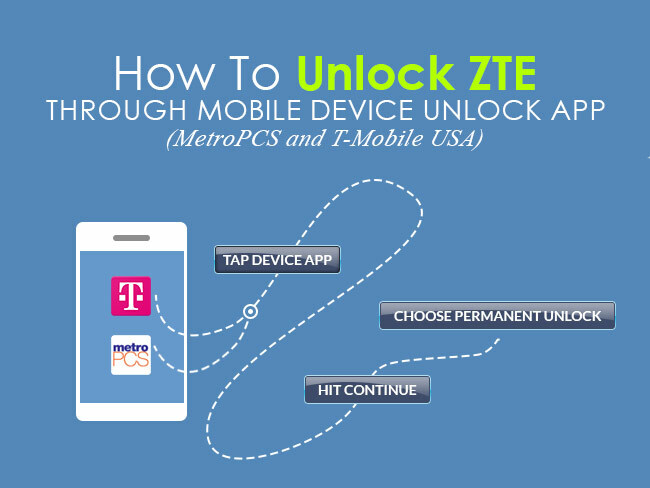 UnlockBase can unlock your ZTE Avid 4 phone in a fast, easy, and convenient way. You wouldn’t have to break the bank or send your phone over to get it unlocked. 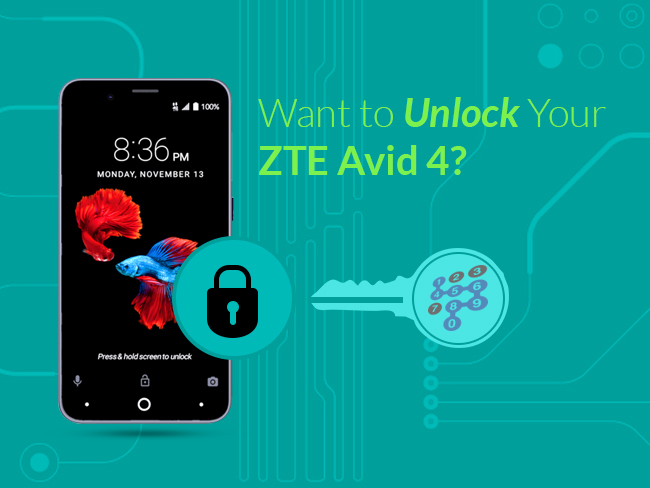 If you’re ready to unlock your ZTE Avid 4 now, you can go here. If you have questions or if you need help you can also contact our chat and email support team who are online 24/7 to cater your needs. It is important for us to know your phone’s IMEI number because that will be our only guide to calculate or create the unlock code specifically assigned to it. Also, your phone’s IMEI status lets us set proper expectations whether your phone can be unlocked or not and if you can use it after it is unlocked. If your phone is blacklisted by your carrier, there’s a slim chance we can unlock it and even if we can successfully unlock it, you will still be unable to use it in your own country even with a different carrier. Blacklisted phones have their IMEI registered in a national database that is shared among the carriers in your country. This is the reason why Blacklisted phones can’t be of use to anyone unless it’s unlocked and used in a different country. If you choose the latter which is to unlock your phone with us, you can order an unlock code for your Sony phone. All you need to do is to enter the information being asked and follow the process as is. Your device’s IMEI number and carrier, as well as your working email address, will be needed for us to communicate. If you already received an email confirmation about your unlock code order from us you will see the instructions for identifying it’s SIM-lock state and its unlock eligibility. If you already did it as per instruction, you can now proceed to the actual unlock process. Switch ON your Sony phone with a non-accepted SIM Card. Sony phone will ask you to enter SIM Unlock PIN. Your Sony phone will be unlocked! 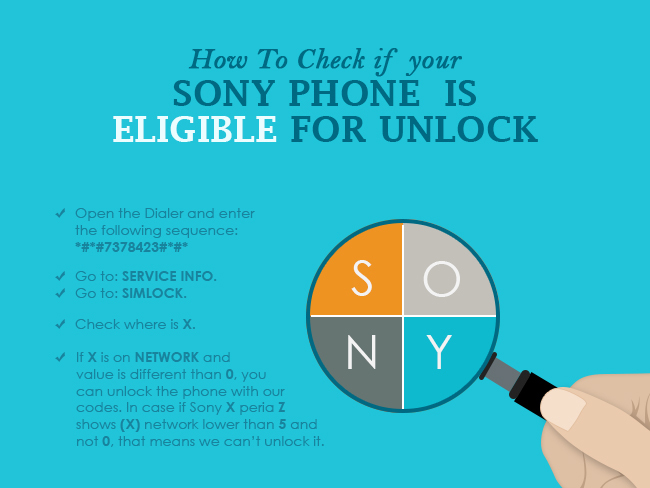 Note: Before ordering a code for your Sony phone, no matter what model, please make sure to check first if it is “eligible” for unlock. If you choose to unlock with your carrier, there’s a high likelihood that you will have to pay for the remaining device balance if you got your phone through a plan. Nonetheless, unlocking your phone with them successfully works almost all the time. The process of unlocking it with them may involve technical needs or you can go straight to their nearby store if you need help. Some carriers, like T-Mobile and MetroPCS (for the US only), lets you unlock your phone remotely through a pre-installed app called the Mobile Device Unlock App. Note: Only Sony Xperia Z3 is supported by the Mobile Device Unlock App, pre-installed by T-Mobile USA. Please check this article to know more about Mobile Device Unlock App and all its supported devices. What Are The Instances That The Unlock Codes Fail? We can guarantee you that there’s a zero chance our codes fail to unlock your phone. We work with several vendors and service providers that assure us that the codes we have generated are specifically for your device and for the specific IMEI you have provided us. If in the unlikely chance the code we gave you didn’t work, we always own the mistake and process a refund for you if you insist or give up and stop finding another way. *We may have missed something along the way, so in the process, our customer service representative who’s handling your concern may be able to find out why and resolve the issue. If the unsuccessful unlock is caused by any of the above reasons, we are afraid we will be unable to give you a full refund. We always list the refund eligibility on our initial email interaction with you, and all disclosures, including what’s mentioned above, are mentioned. 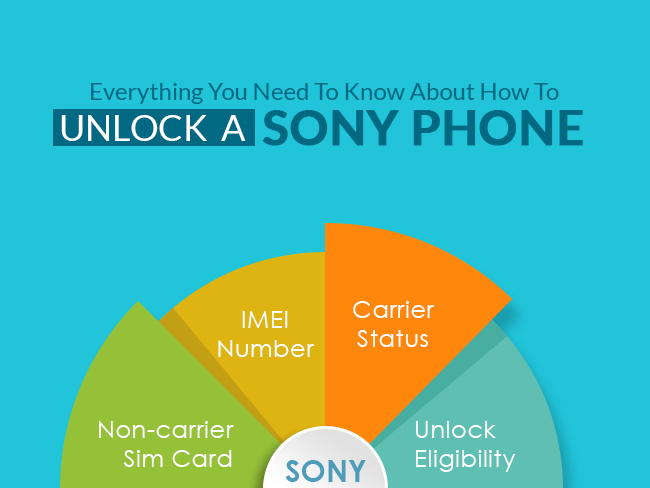 Moreover, we always advise our customers to do the unlock eligibility status check on their Sony phone before proceeding on the code order process. All the instructions are included in our email and should you feel lost or if you are afraid because it’s too technical for your level, you can always contact our customer service team, with no charge. If you want to get a heads up about your phone’s sim unlock eligibility, please check the article below. 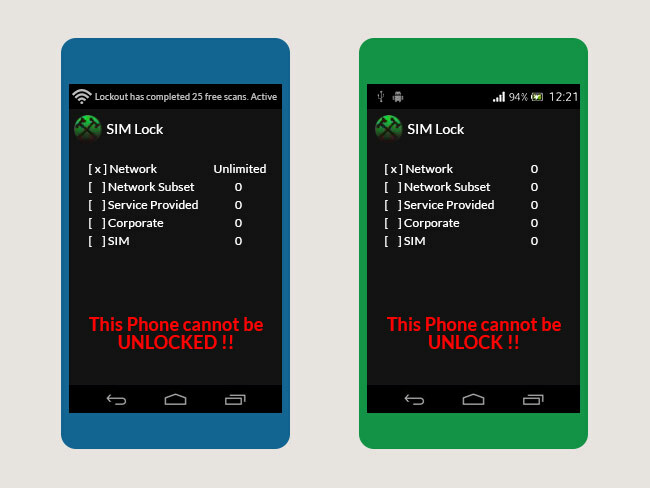 Your phone will be ineligible for unlocking when it is already hard locked to your carrier. Hard locked phones are permanently locked to a carrier and your phone will become hard locked if you enter the wrong code many times and have used up all the unlock attempts allowed by your phone. If X is on NETWORK and value is different than 0, you can unlock the phone with our codes. In case if Sony Xperia Z shows (X) network lower than 5 and not 0, that means we can’t unlock it. Please check the following images for your guidance. As you have seen in the images, the image where the value next to Network is 7 is the only phone that’s unlockable or eligible for unlocking. It means we have 7 more unlock attempts to use. We don’t support values before 5 because we are unsure about the allowable unlock attempts. We always put a safety margin for unlocking attempts to set proper expectations. Another image shows the value next to Network is 0, so that means there are no more available unlock attempts available for you to enter an unlock code and that the phone has already hard locked itself to its carrier. If you are seeing a higher value than 5, then you can now proceed with the unlock process and order a SIM unlock code from us. Please choose your phone’s model correctly. 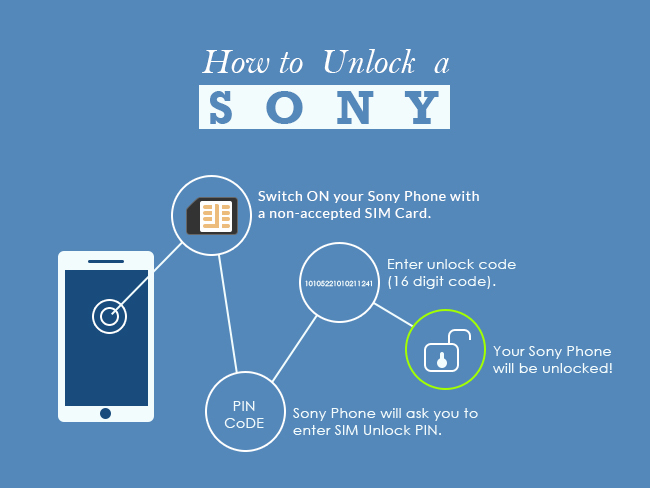 Unlock Your Sony With UnlockBase! UnlockBase has over eight thousand reviews from different third-party review sites and has unlocked over eight million phones since 2004- still counting to this date! We can even deliver your codes *real-time or in as early as the first hour we receive your order*; quicker and faster than any of our competitors. Not only that, we offer the lowest price guarantee if you have lower offers from any of our legit competitors. Our 24/7 customer service team are always ready and available to answer your emails real-time and you can also contact our chat support team anytime if you have questions or other related concerns. We assure you that all our unlock instructions are created with you in mind – meaning we make it easier, complete, and basic in every model we support, but that’s not the sweetest part yet. We provide *100% money back guarantee in the event that our codes don’t work! If we can’t unlock it, we’ll give you your money back! HTC U11 Life may be an ordinary budget phone at first glance, but this phone is way above average that it deserves a second look. With the price ranging from $300USD (depending on your location), this phone considerably belongs to the group of phones that most can afford. The U11 Life has multiple versions and global versions differ from those which are meant for the US market. They run on different OS, RAM, storage, and LTE bands. Before you brush this not-so-flashy phone off of your mind, let’s take a look at how much you can bargain with a 300-dollar phone. 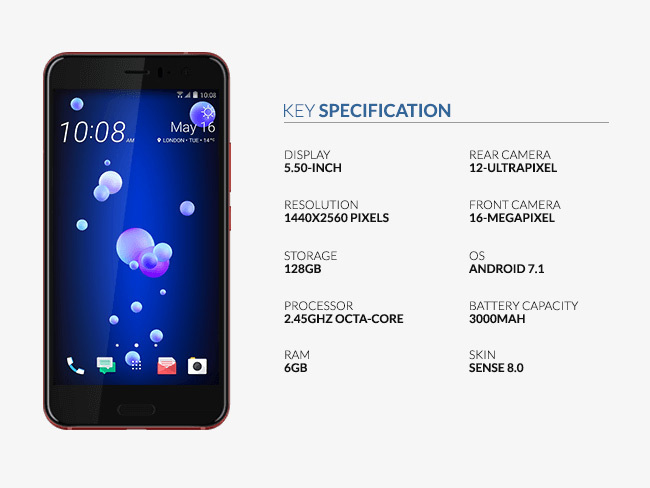 *For a complete spec sheet for HTC U11 and HTC U11 Life, check the official HTC page. Other Features HTC Edge Sense; HTC Sense Companion; HTC Connect; Motion Launch, Sensor Hub, Always on voice commands, etc. HTC Edge Sense;HTC Sense Companion;HTC Connect; Motion Launch, Sensor Hub, Always on voice commands, etc. Judging by the colors you can really tell there’s just so much difference between the two, but that practically tells us why the other one is a flagship, right? That, hopefully, should justify the HTC U11 flagship price. Nonetheless, judging by the overall experience, you really can’t see much difference between the U11 and its little brother U11 Life. The HTC U11 Life is meant for a one-handed use and it comes in a comfortable size of 5.2 in, not that far from HTC U11’s 5.5 in. Although, some physical applications may be a little challenging like the “Squeeze”, it varies on how big your hands are, and will likely fit most. The HTC Squeeze is a feature that is both clever and practical. This function applies ever so easily like how they say it is. You can squeeze the sides, basically the home button on the right-hand side to launch the camera. You can add another app if you customize the squeeze feature. This phone offers so many features that are exclusively HTC and we’ll go through each one of them later. Let’s discuss first the ordinary things that make this phone stand out. The HTC U11 Life is built with a 16MP front and rear camera, we’re talking about the same camera you get with an LG V30, minus a few hundred dollars. What’s more unbelievable is that you can shoot a 4k video with it! The U11 Life’s camera has been a talk of the town around YouTube Vloggers and you can find one particular review that used HTC U11 Life front camera for the whole video recording. Results? Mind blown! You can’t even recognize the difference between the U11 and the U11 Life’s video recordings. However, the U11 is built for low-light recording with a f/1.7 aperture. If you are looking for a budget phone that gives you clear, crisp, and awesome photos, the HTC U11 Life will never disappoint you. You can easily launch your camera by squeezing your phone. Although some say there are slight shutter lags with the camera, it still doesn’t happen that often. This might be something that HTC will address in their next software update. The HTC U11 Life is still made of Corning Gorilla Glass, however, it’s not the same version as the flagship devices like its brother HTC U11. It has a “plastic” build and so is the reason for its lightweightness. This is the reason why the U11 Life doesn’t have that premium feeling, but overall, it still has the same multi-color and glossy back cover. Nonetheless, HTC made both the U11 and the U11 Life water resistant at IP67, which could be the best move HTC did this year. It also has 2600mAh battery which could very well last you a day, and you’ll have to diligently charge it every night for the next day’s use. If there’s anything that we hate about the U11 Life, it is the lack of a headphone jack. I also thought that would be the deal breaker, but luckily, it comes with a USB Type C earbuds that have an active noise canceling feature. The only downside is if you have a 3.5mm headphone plug you will have to buy the adapter yourself. As expected it has a speaker, which sounds nice on par with other mid-range phones in the market. It has a fingerprint scanner that is mounted in front for easy access and it’s accurate, fast, and easy to set up. Overall the HTC Sense UI runs smoothly on this phone and goes on fluidly without any annoying hiccups or lags. The HTC U11 Life is running on Qualcomm Snapdragon 630 and Adreno 508, this maybe not the loveliest selling point but it has a massive storage that starts at 32GB (3GB RAM) and 64GB (4GB RAM). Expandable with a microSD up to 256GB. Like the U11, U11 Life is meant to work with Amazon Alexa, but there were reported issues of being able to use it at all. If you aren’t a fan of the Amazon ecosystem, you’d be happy to know that the U11 Life runs on *Android Oreo. HTC has packed this phone series with a handful of apps that are aimed to help you in many ways practical and ingenious. Let’s go through each of them. 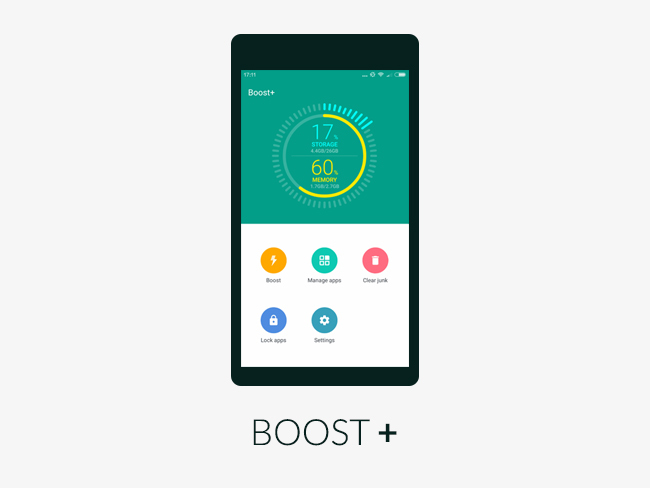 The Edge Sense will be the app that will welcome you to your U11 Life’s initial setup. It will allow you to set up the “Squeeze” feature so you can customize the apps that you want to launch using it. Activate Edge Sense and you can select the squeeze sensitivity that you prefer and the app that you want to associate with them. The camera is the default app that will open when you squeeze and no other feature, but you’re free to change it via the phone’s Settings. 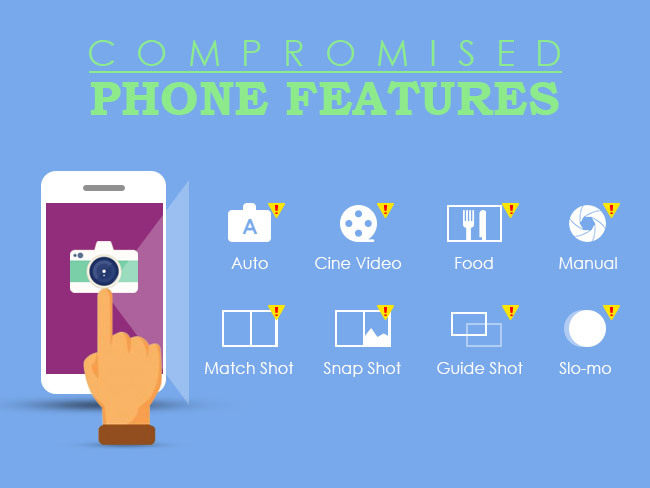 You can also add another app aside from the camera, by choosing to Enable Advanced Mode you can have the long squeeze feature. You can customize all the actions thereafter using the Customize Short Squeeze or Customize Long Squeeze options. It’s quite easy and self-explanatory, so feel free to play around and discover! This feature is not golden but it’s quite the initiative to anticipate their customer’s needs. 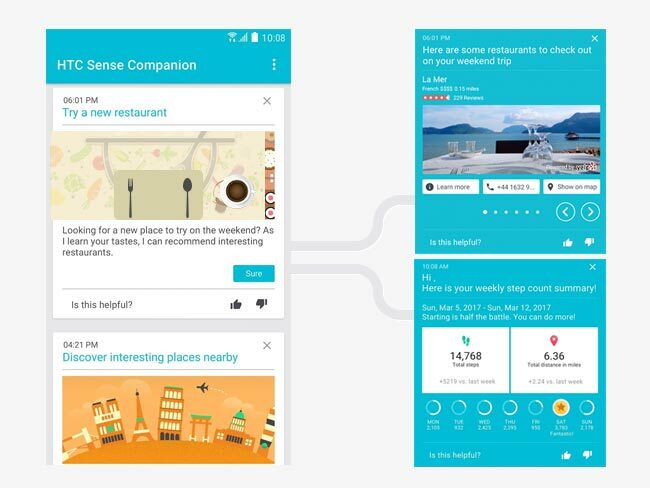 The Companion learns your daily patterns, remind you of upcoming events, warn you of bad weather and even recommend restaurants when you are in a new city. Yeah, this is not original but if you are already annoyed of messages from your phone like getting your phone charged up, you can easily get rid of it by swiping the icon to the top of the phone. 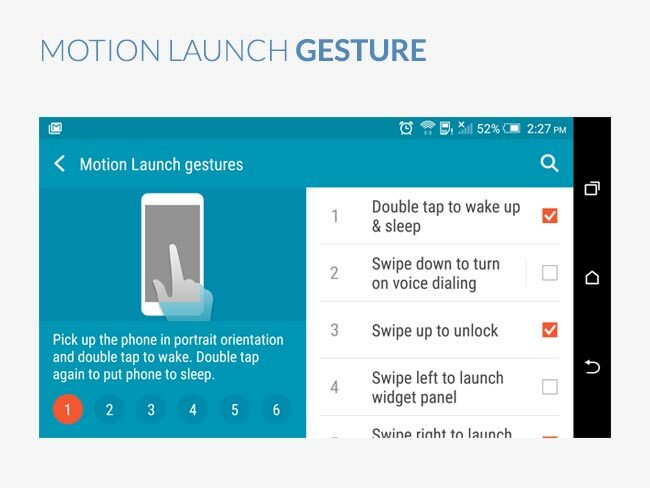 The Motion Launch Gestures is similar to that of the air shuffle on some cell phone brands and it might be a little tricky to setup but you’ll love it once you’ve gotten used to it. There are 5 different motion gestures you can choose from and they are all useful and easy to use. You can wake the screen with a double tap, swipe left to lock it or go to home screen. There is more in store for you to discover. As mentioned earlier, your HTC U11 Life comes with a USB Type-C earbuds, and they are undoubtedly amazing unless you neglected to set it up on your phone. Yes, there is a setup necessary for you to take advantage of the active noise canceling feature and customize the sound according to your physical hearing preferences. Head over to Settings and choose HTC USonic with Active Noise Cancelling put the earbuds on and complete the setup process. 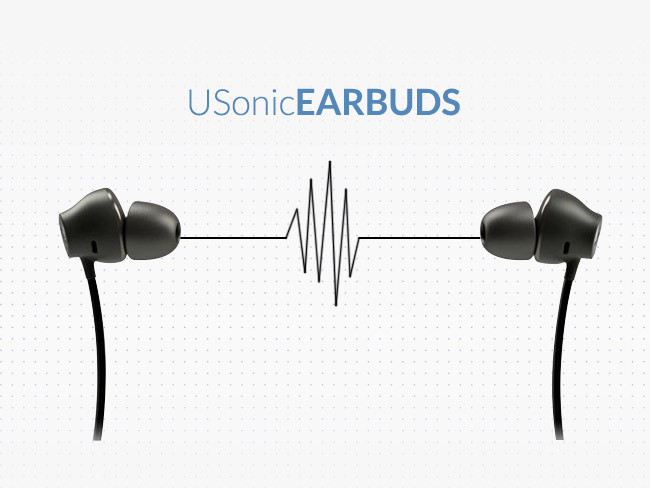 The HTC USonic earbuds will create a sound profile based on ears’ shape, if you don’t like it, you can go through the process again. 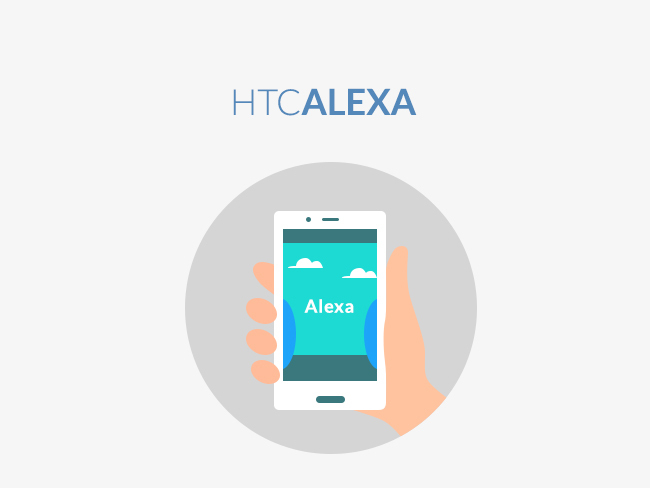 Since the processor on the U11 Life is not as powerful as that which is in U11, it cannot handle two “trigger” words that launches the Alexa and Google Assistant. It can handle one trigger word which is for Google Assistance and that means you will have to open the Alexa App or add it to your Edge Sense options. Although you may not be able to activate Alexa by simply saying its name, you can still integrate into your Amazon ecosystem. It makes everything easy and convenient. HTC and Amazon worked hard to achieve this, so it must be an answer to a major pain point. HTC U11 Life has the most customizable interface ever! You can use the free themes, paid themes, or the customize themes if you have one. They are all easy to download and you can open it through the HTC Theme App. 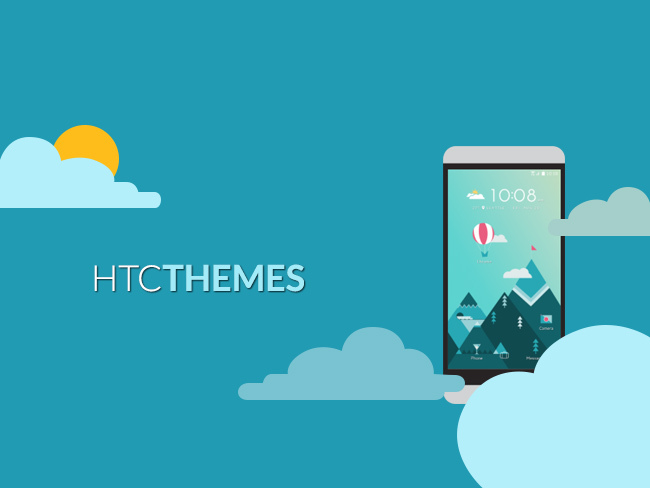 Simply hold the home screen down and wait for the Theme icon to appear, sign in to your HTC account (create one if you don’t have one). Once signed in, voila! You will be overwhelmed by the number of themes you will see! You can also change how your apps look like so you can integrate your theme altogether with the apps you installed on your phone. HTC really went one more mile for your battery saving game, because they added a utility app that not only saves your power but also locks the apps you don’t want to use or which you think eats up a lot of power. That’s right, it lets you lock some apps so if ever some people want to touch your phone and use it, they can’t get the locked app/s to open unless you enter your unlock pin/pattern for them. 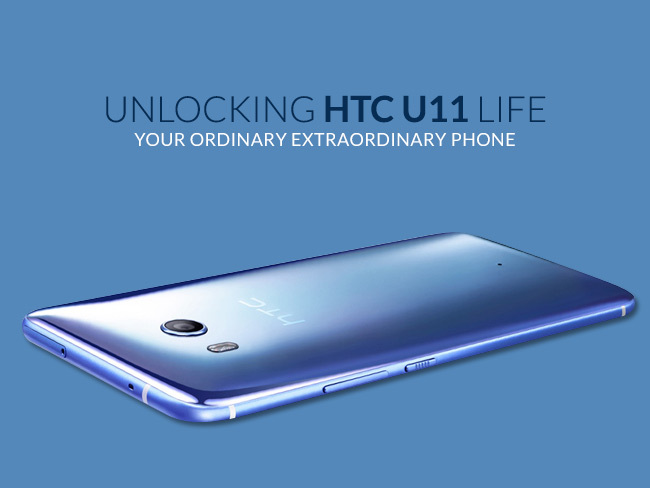 Unlock Your HTC U11 Life Now! Get the most out of your HTC U11 Life and permanently sim unlock your device today! Unlock your device for only $4.90! 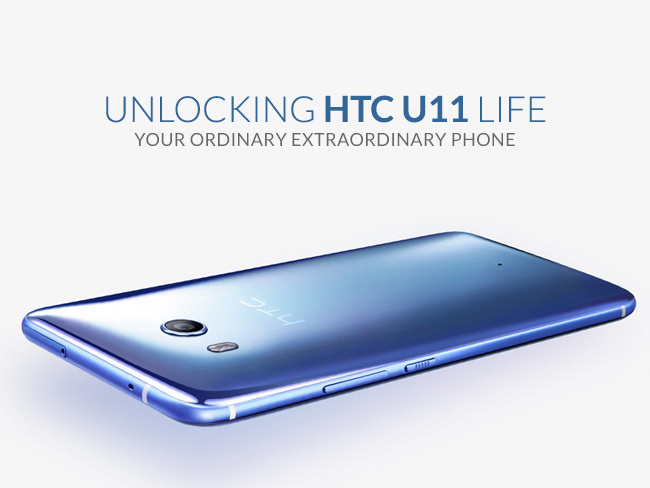 Head on to our HTC U11 Life unlock page and just enter your device’s IMEI number and locked-to carrier. Our support team will be ready to help you. 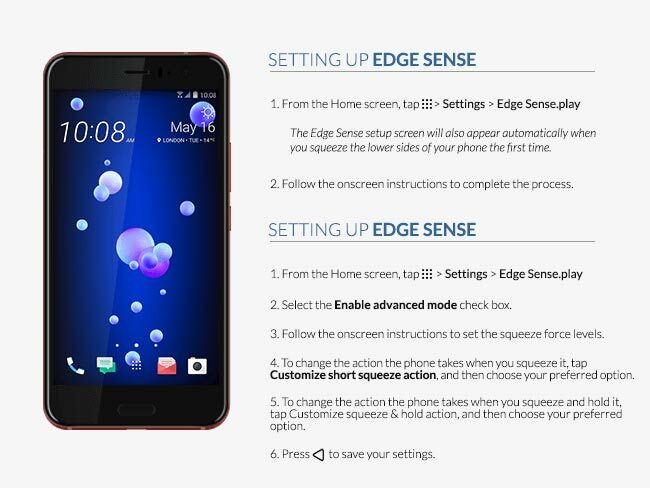 Get the most of life and HTC U11 Life with UnlockBase! 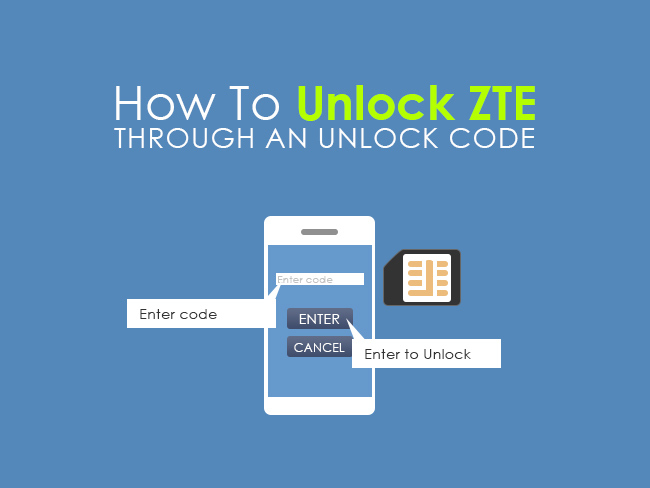 Unlocking your ZTE device should be easy and straightforward. In fact, just like any other phone brand, you only need three things to get your ZTE device successfully and permanently unlocked. If you have these ready, you can then order an unlock code specifically for your phone. 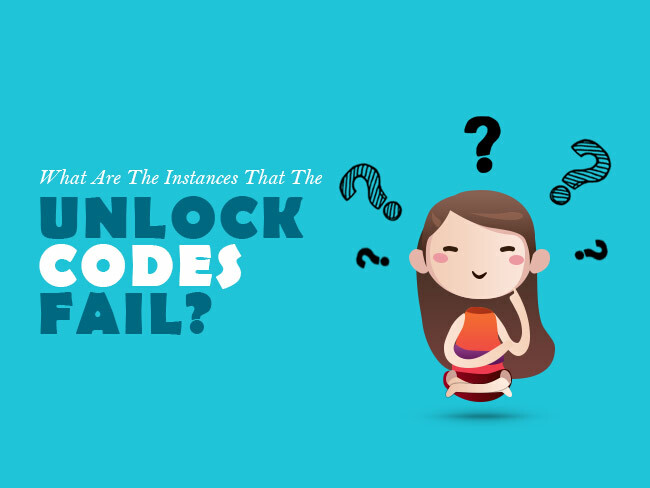 We usually send you 3 or more codes as we see necessary, but in most cases, you will only use one code which is the NCK code or the Network Code Key or simply the unlock code. All the other codes will be used depending on how your phone reacts with a non -carrier SIM card the moment you turn it on. Just simply follow the instruction that your phone prompts you to do. If in case, you are lost or you need help, you can always contact our customer service team via live chat or email. 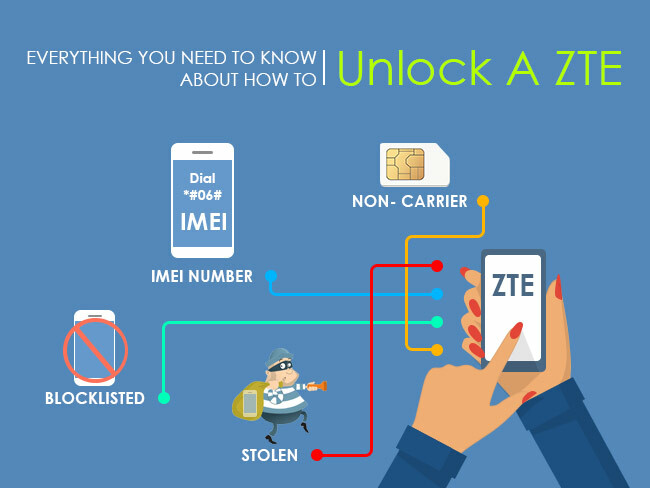 Your ZTE phone will be unlocked! That’s how easy it is! If you want to unlock your phone now, just go to this page and choose your device model number correctly. You will be prompted to enter your IMEI number and your carrier’s information. Just follow through the process and you will receive an email confirmation from us about your payment. Our email confirmation will inform you about the turn around time for us to generate an unlock code specifically for your phone. It will also contain the instructions necessary to get your phone permanently unlocked. 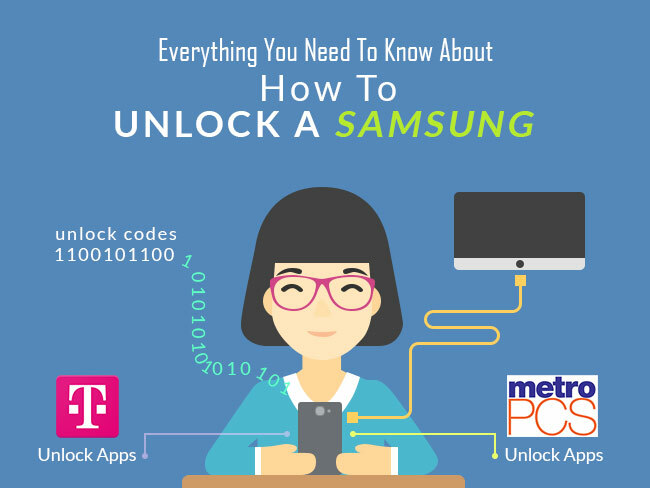 If you got your phone through MetroPCS and T-Mobile USA, it is most likely that you will not need to buy an unlock code because your phone has a pre-installed app that will unlock your phone without a code. This pre-installed app is what the Mobile Device Unlock App. If you have the Mobile Device Unlock App on your phone, try to unlock your phone using the app. From that application list, tap on Device Unlock. It means that your phone is not yet eligible for unlock by your carrier. 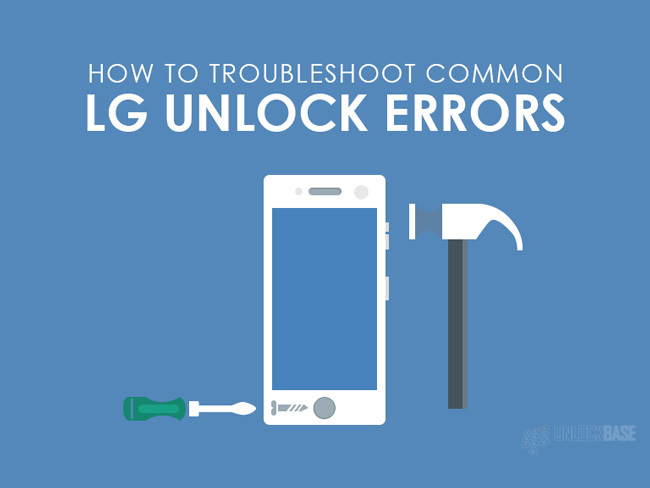 If you are seeing a different kind of error, you can look up the troubleshooting steps here. If this is the error you get, you don’t need to go to the MetroPCS or T-Mobile store to get your phone unlocked. We can remotely register your IMEI to your carrier’s database, just click on your carrier below and choose your device make and model correctly. Pick your carrier correctly and just follow through our order process. You will receive an email confirmation from us and this will guide you throughout the unlocking process. Do note that if you have withheld information from us, like your IMEI status, or if your device is running on a custom OS (Cyanogen, Avatar) that may affect the unlock process, that will remove your eligibility for a refund. Please inform us ahead of time if your device is blacklisted or reported lost or stolen so that we can set proper expectations and if we can unlock your phone. If in case you feel lost or you need help, we have 24-hour support that can answer your questions through live chat or email. Don’t hesitate to shoot us a message anytime. The LG V30 is nothing like its prehistoric parents. This slick phone is making noise in the tech world and here’s why some guys would ditch their plans with Samsung Note 8 and forget about the iPhone X to get themselves an LG V30. Camera- Video [email protected], [email protected], [email protected], 24-bit/192kHz stereo sound rec., HDR video [email protected]/30/60fps, [email protected]/60/120/240fps [email protected], [email protected], [email protected], HDR, dual-video rec. One simply can’t even afford having a B&O speaker. This is awesome! We have seen a huge surge of flagship comparisons online and in fact, LG V30 went with a drop test with the Samsung Note 8 and bet who won? LG V30. According to the test, which you can see in Youtube, Samsung Note 8 suffered with the least screen damage, more probably because of its edge to edge screen, but you can hardly open any app and the screen starts to become unresponsive after 10 drops. On the other hand, LG V30 may look more physically damaged with the selfie cam slightly altered, but miraculously, the screen is still responsive and you can use it BAU! What’s more interesting is that, the back cover of the LG V30 suffered visibly no damage. Lovely, just lovely for every clumsy buff. That’s right, 10 drops folks. 10 drops to a steel plate is all you need to prove the LG V30 is worth every penny you invested. LG V30 is also water and dust resistant, ain’t new thing but as LG put it, it has passed 14 different military standard durability test, which we say is proven by tech buffs on so many Youtube drop and durability tests. Well, honestly speaking, LG V30 isn’t the best in the camera department. It’s not the only phone with the DSLR- like camera you expect, but you will never have enough of its features, which LG filled to the brim. You can record videos with the preset filter that you want to have, ain’t that cool? Not only that, you can control your zoom, which practically lets you zoom in any area within the frame. If you are a vlogger or a travel blogger, the LG V30 is a must-have for all your travels. You can pre-order it factory unlocked or you can also have it permanently sim unlocked LG V30 and V30+ using our services. It also comes with a standard and wide angle lenses that lets you take the ultimate panorama and group selfies without sweating it out. You can even edit videos on your phone! You can add sound, cut and paste video footages, and add a theme! You can add up to 50 files, like GIFs, photos, and videos to make one single awesome video. Seriously, you can’t even get a decent video out of some computer softwares, aside from the fact that they are too technical to use. The LG V30 definitely brings out our side of filmmaker- wannabe. That said, LG V30 is outrageously underrated folks. LG V30 is a big, bezel-less phone but it is easy to handle. It’s not your typical size at 6.0” but you can operate it single-handed. It has a P-OLED display, not much difference with Samsung and Apple AMOLED. More importantly it says that for the sake of branding, but technically speaking, there’s virtually no difference from what we can see. LG V30 is also very convenient to use because it has its fingerprint sensor from the back, which is not awkward for any user (no matter how short your finger is). It also has a radio tuner that lets you listen to your favorite local radio whenever you run out of data to stream (lol) but it always comes handy, especially on places where even 3G doesn’t exist. Yes, LG thought of you having the soundtrip of your life even when you are in the woods. Compared to X and Note 8, V30 is the only phone to ever think about audiophiles, like they always do. Yup, they kept the B&O partnership and you can enjoy Hi-Fi at a lesser cost. Welcome to my awesome world, baby. LG V30 is running on a Qualcomm Snapdragon 835 processor, with a 4GB RAM, and Adreno 540 GPU. You can run several programs, play games, and watch movies without ever experiencing a lag. With it’s capability, it’s like a laptop you can fit in your hands. You can also check out the software speed test LG V30 vis-a-vis on iPhone X here. The V30 is running on Android Nougat and it admittedly said they are not ready to update it until early next year. That’s something you might want to take note. Although the phone is performing supremely, there are still bloatwares that you might not want to uninstall. LG loves to fill your phone with apps they never thought you’d never like, anyhow, you’re free to uninstall when you want to. Of course, nothing is perfect and you will always find a flaw in whatever device or thing you have. And although LG V30 is close to perfection, there are some things that people wished they could change with this LG flagship. Some people don’t like the LG software, but IMO, if you aren’t bothered about how your phone looks but on how it works, you shouldn’t be so concerned about that. Plus, it’s highly customizable, so that shouldn’t be a problem. If you are the audiophile-type or the selfie-expert who wants awesome IG photos, this phone has built-in filters that lets you create that professional look real-time or preset. This is how LG confronts iPhone X’s camera filters. If you are going to look at what LG V30 offers, you’ll see it weighs more and for a lesser price. LG isn’t the best at marketing as we know it, but the LG V30 deserves a second look and IMO, a recognition as the best flagship today. 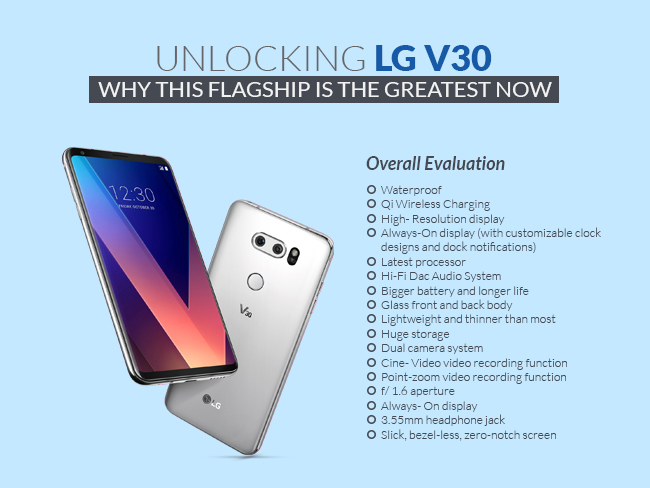 If you would want to further enjoy the best out this phone, you can contact us for unlocking LG V30. We will help you make switching SIM networks possible faster. Do you like the LG V30? What do you think about it? Tell us on the comments section below. 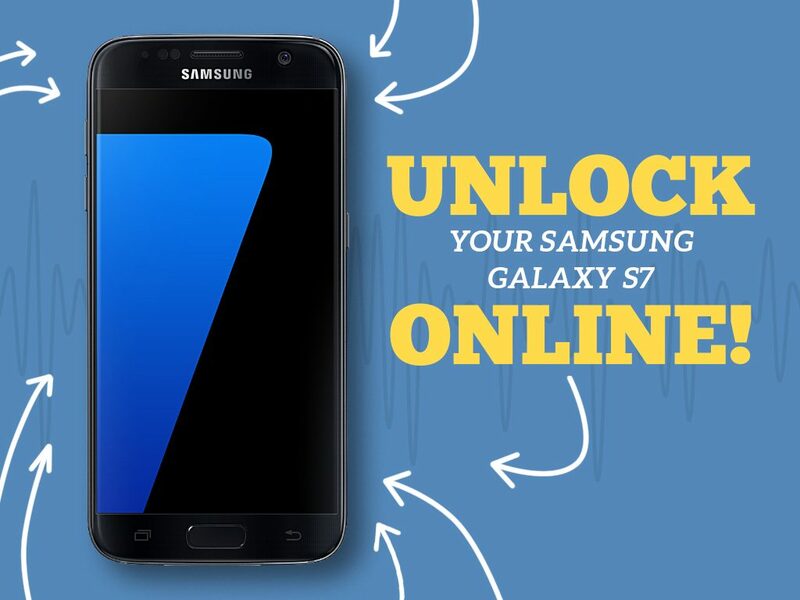 Want to unlock your Samsung phone? Seeing a lot of errors? If you want to unlock your Samsung phone from its carrier, then you’re in the right place. Here at UnlockBase, we continue to innovate and create better and easier ways to get your phone unlocked in a timely manner. Just like any Android phone, unlocking Samsung is relatively easy and should go smoothly. In fact, we have discovered 3 (three) different ways to get your phone unlocked from its carrier. Make sure your phone is NOT BLACKLISTED. Make sure you have all the necessary information about your phone. Make sure your phone is running on STOCK ROM. IMEI status ( Not blacklisted/lost/stolen). We need to know your IMEI number and locked-to carrier because that’s what we will use to generate an unlock code for your Samsung. Note that we don’t randomly create codes through black magic and second-guessing, we are connected to several vendors and carriers to get the code specific for your phone. This is how we guarantee you that your unlock codes work. In addition to that, your phone’s IMEI status also lets us set proper expectations if we can unlock it and if you can still use your phone if we can unlock it. Note: Blacklisted phones can still be carrier unlocked, (provided you have given accurate IMEI and carrier information) however, the possibility of using it is limited. For example, if your phone is blacklisted in the US, you can’t use it in the US but you can use it with any carrier outside the US. If you don’t know your IMEI Status, you can check it here. If you otherwise know that your phone is “clean” and you have all the necessary information ready, you can proceed to the Samsung unlock page and enter all the necessary information. We have several payment options that you can choose from and you will be receiving an email confirmation from our team about the status of your order. The email that we will send you will not only contain one, but 3 or more codes to use. This is because there are several lock levels for many Samsung models. 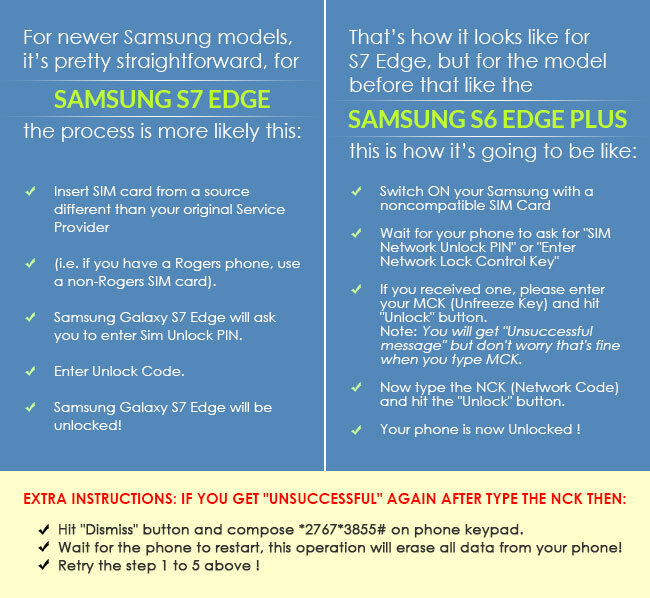 Most Samsung phones will only ask for the NCK code, however, SCK or SPCK codes apply when 2 or more codes are needed to unlock. You will know which code to apply depending on how your phone responded or prompted after you put a non-carrier sim card. The Unfreeze code is needed when your phone prompts “Phone Freeze” or “Return for Service” whenever you enter an unlock code. In that case, you have to enter the Unfreeze code first before the NCK code. However, please note that the Unfreeze code does not guarantee or warranty success as they are issued free of charge as an added bonus with certain Samsung unlocking services. To help you get rid of the Phone Freeze, you can contact a local smartphone specialist or Samsung itself so you can get to the page where you can enter the unlock code you got from us. ➤Insert sim from your carrier. If your phone isn’t giving you any menu after dialing the code, then you can follow the usual unlock process, like that of the S7 Edge that you can see below. Note that these steps vary per model, so do not take these steps as a general instruction for all Samsung models. Please visit our unlock Samsung page and carefully choose your phone’s model. Samsung Galaxy S7 Edge will ask you to enter SIM Unlock PIN. Samsung Galaxy S7 Edge will be unlocked! Now type the NCK (Network Code) and hit the “Unlock” button. Your phone is now Unlocked ! 6. Hit “Dismiss” button and compose *2767*3855# on phone keypad. 7. Wait for the phone to restart, this operation will erase all data from your phone! 8. Retry the step 1 to 5 above ! 2. Cable Unlock: Faster Software Unlocker Exclusively from UnlockBase! If you think you are techy enough to download, install and run a software to unlock your device, then our Cable Unlock software must be what you are looking for. If you have Windows PC and a USB cable you can use and you want to unlock your phone faster or real time, you can order the cable unlock software directly from us! Good News: Our cable unlock software gives your phone a 100% permanent unlock so whether you upgrade or downgrade firmware or even install custom firmware like Cyanogen or Avatar. Your phone will remain unlocked for life! Connect phone through a USB cable. Your phone is now unlocked! Note: If the software asks you to dial a code on your phone, please follow as per instruction. The unlock process may vary from phone to phone, but if you are stuck somewhere, you can always contact our customer service team to answer your questions or visit our FAQ page to know more. It is also important to remember that we do not unlock CDMA phones and we only unlock GSM phones through this method. If your phone is not detecting the computer, simply unplug and replug the USB cable, make sure it’s tightly connected and select “debug” on your phone’s USB settings. If in the unlikely reason that your phone will not be unlocked using this process, you can always ask for a refund and we will void your license and process a refund for you. No questions asked! Your happiness is what we guarantee and you can always try other unlock options for your phone, don’t hesitate to shoot us an email or message. If you have a MetroPCS or T-Mobile locked phone it is now easier for you to get it unlocked! 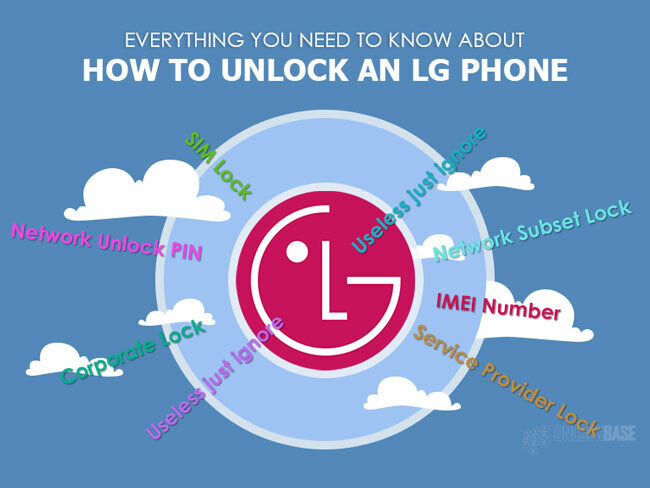 By simply using the Mobile Device Unlock App that is pre-installed on your phone, you can have your phone unlocked permanently from its carrier. However, these two carriers have unlock requirements that you may not be qualified yet at the moment. 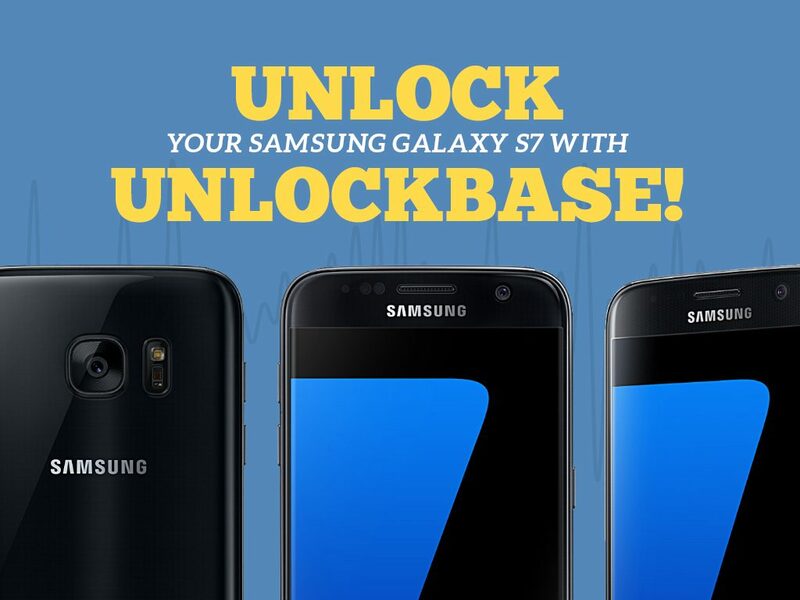 Nonetheless, UnlockBase can help you unlock your device using the same mobile app. We can remotely register your device’s IMEI as “eligible” on your carrier’s database without any unlock code. Good news: Turnaround time is only 2 days! We have created an article specifically for the Mobile Device Unlock App including the troubleshooting steps that you may encounter when using this option for unlocking your device. Please be sure to check your device’s model number on the list of supported devices. Also, if your device is blacklisted or reported as lost or stolen, we will not be able to unlock it. From that Application list, tap Device Unlock. If you’ve been thinking about running a custom OS on your smartphone, my kind advice is for you to better think again. 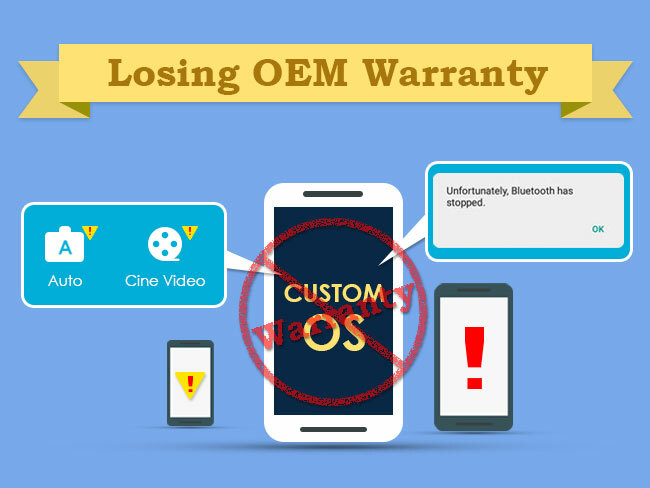 Is it really worth all the trouble to install a custom OS on your phone and break your warranty? A lot of people want to install a custom OS on their phones, most commonly Cyanogen, because they believed it gives them more freedom with their devices. True enough, installing a custom OS comes with a lot of benefits, like privacy, flexibility with apps, and constant updates. The Android operating system is an open source system that allows individual developers to explore and customize their own software or firmware based on it. However, OEMs (original equipment manufacturer) hold the responsibility in providing firmware updates to all the handsets they made available in the market; they take this game seriously, and in fact, it is one of their selling points. Changing your phone’s firmware is really going to compromise your OEM Warranty, some phone features, and some must-have OEM-installed apps. Who likes Bugs? These tiny creatures are seriously cute but having them run your phone will make you want to pull your hair out. 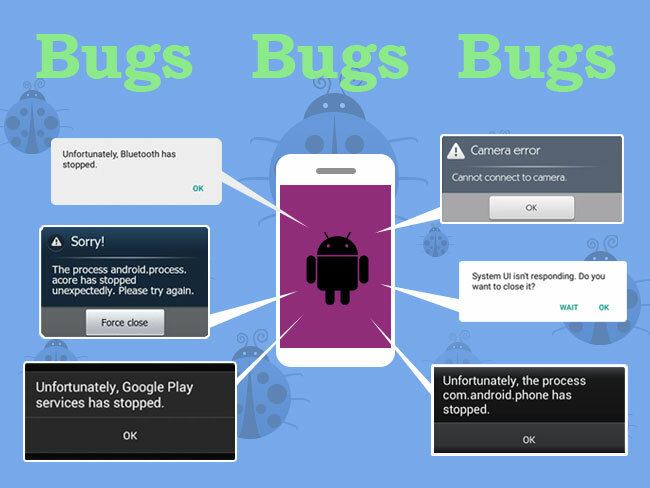 Bugs, as some people call it, are tiny firmware hiccups that can annoyingly ruin your device (and day) in the long run if not taken care of. You’d sure hate to restart your device every time it lags or misbehaves, but this is what bugs do. 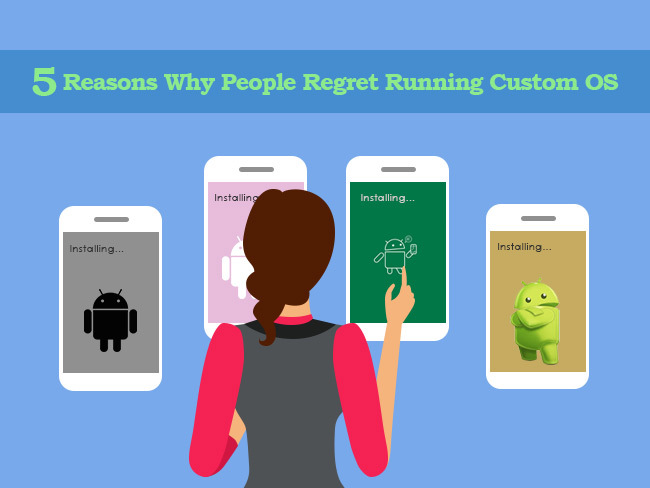 They love to interrupt and whether you like it or not, carelessly installing a custom OS without investigating further about its compatibility with your device is a sure reason for regret. You won’t see device compatibility updates from customers themselves. As a general rule of thumb in a world full of doubt, always read reviews. Customer reviews can come from forums or third party communities and it’s the best and most helpful way to get genuine replies and working solutions. Forget about taking the perfect selfie if you install a custom OS because there’s a really high likelihood that all the camera features installed by your phone’s OEM is erased once you replace the original OS. Software design plays a big role in the function and output of the camera. Some open source OS did not write optimized apps like the camera that is specifically for your hardware model/type. You will have lesser flexibility when it comes to taking photos, editing them and even storing them. Asking for a little more privacy shouldn’t sacrifice a major phone function, but if you don’t like taking photos, it might be worth the price to pay. More often than not, you would realize that you don’t entirely hate your phone and there are apps or hardware features you would want to keep. However, it doesn’t always work with custom OS. Custom OS developers focus on more practical aspects of the phone like the level of customizability, privacy, longevity, and performance. Also, the apps that you want to keep may be exclusive to your phone’s OEM in which case, they really don’t have access to tweak or modify to start with. Since custom OS apply to any android-running phone brand or model, the chances of tweaking or fixing a specific app aren’t something that is usually covered. However, one of the most important promises of custom OS is the higher level of privacy it offers when it comes to app installation or use. Mindlessly allowing or giving apps “permissions” to your contacts, camera, location, SMS, etc is dangerous to your privacy. Most custom OS give you another layer of privacy by disabling “permissions,” or giving better customization options that you want to sync when you are trying to install an app. On the other hand, OEM OS isn’t as flexible when it comes to this, but they have added features that let you know whenever something fishy is happening to your device or to the apps installed in it. A lot of people install custom OS because they wanted to prolong battery life, however, it isn’t successful all the time. Fortunately, rooting your phone or installing a custom OS aren’t the only ways available to increase your battery life. 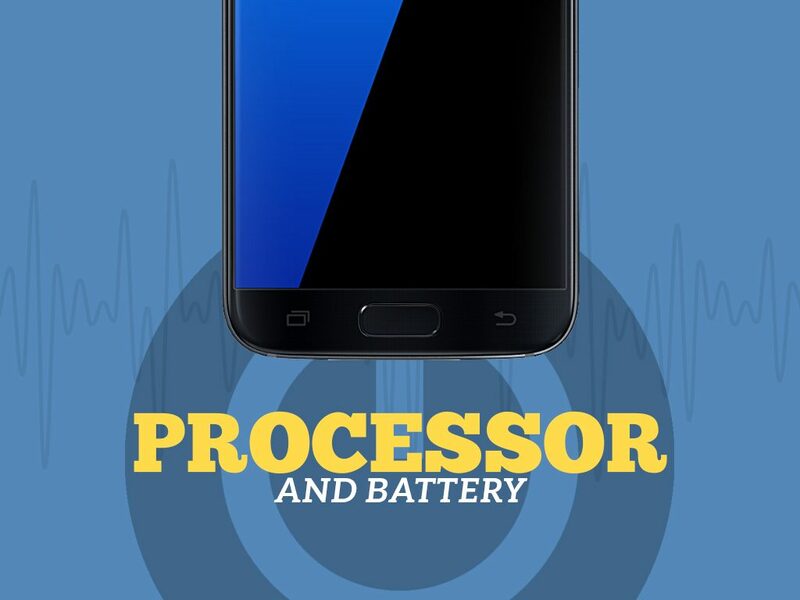 Some custom OS let you tweak the amount of power being used by underclocking or undervolting your phone. Contrary to what most believe, some handsets actually drain their battery faster with custom OS than with the original OS it used. This is because the custom ROM may not be optimized to your phone’s specific model or there are bugs that affect your phone’s performance. In the end, it does otherwise what it’s supposed to do. 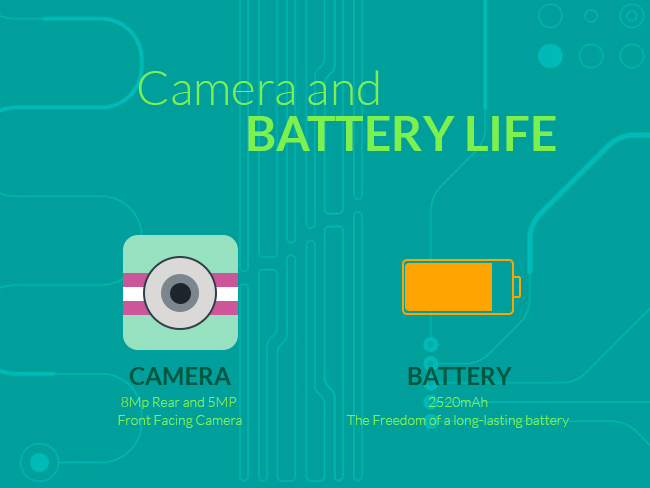 If you are after longer battery life, you need to manage your phone usage better. 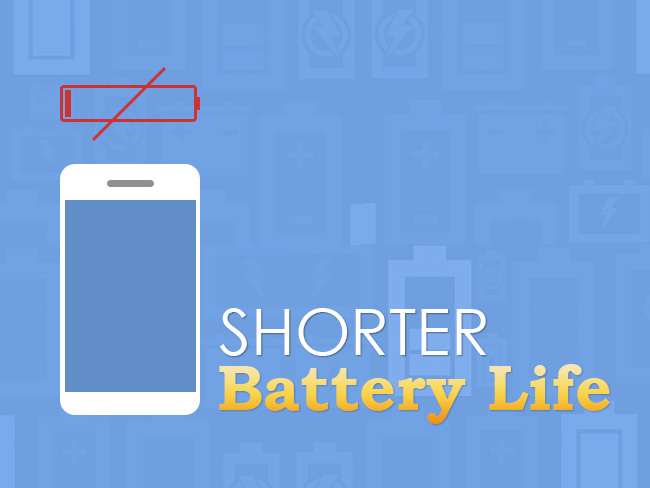 Switching to airplane mode or closing the apps running in the background can also help increase your battery’s life. Ok so, everyone probably experienced hating how their phone’s interface appears, like wanting to have a specific picture or theme run in the background. Unfortunately, some OEMs don’t have this level of customization, and that’s why a lot of Android users choose custom OS. However, installing a custom OS is like throwing the baby out with the bathwater. For you to be truly satisfied with your new custom OS you need to have a certain level of skill and understanding on how it works. Unless you have the technical knowledge to tweak or play with it, you will most likely end up frustrated. In most cases, custom OS isn’t user-friendly and since it isn’t tied to any manufacturer, getting customer support for the software may not even be part of your options. Also, software design varies per manufacturer, model, and country. As mentioned earlier bugs, fixes, and updates have now become the responsibility of the software developer and not your phone’s OEM. Nonetheless, some manufacturers estimate only 2-3 years for a handset’s lifespan which means no more software updates for your device leaving it more vulnerable to privacy threats or hackers and this is one reason for the need to install custom OS. If you are past your warranty and you’re ready for a newer phone if this quick fix didn’t work, then you can give this option a shot. How do you know you’ve already purchased the right phone for your needs? We know! That’s when you get to do everything with your mobile – bring it whenever, wherever, and snap the best shots to treasure through time. Our pick? The Samsung Galaxy S7 from MetroPCS. Not only will you get high-quality specs for your mobile phone, but you also get own it in the best deal yet. Here are its priced details that you shouldn’t miss! If we’ll talk about design, there’s no way you can go wrong with Samsung products. They are premium, smartly designed, and are technically adept with the latest technologies out there. The Samsung Galaxy S7 sports a similar display with its predecessor, the Samsung Galaxy S6, especially with the AMOLED screen size and resolution of 5.1 inches and 2,560 by 1440 respectively. 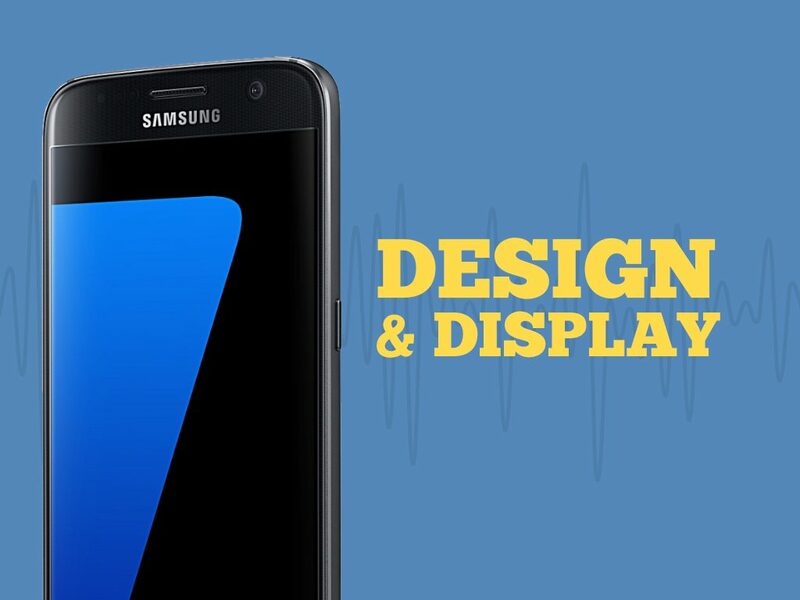 This time, however, the brightness volume has been increased to a significant level – thus, making the S7 screen even more highly visible for users. It also appeared the same in terms of the rear panel’s design, only that S7 featured a thicker, more rounded, narrower back than that of the S6 to house a slightly bigger battery and avoid the camera lens from looking bumpy. Aside from that, it still has the same metal-glass unibody overall, along with Samsung’s signature home button at the front, a Micro USB charging port, and a sensor. Another point about S7’s design is that it came with Samsung’s waterproofing technology rated IP68. This meant that the device is fully protected from water spills, splashes, or dunks that can either slow or damage regular phones. When it comes to camera quality, Samsung never fell behind. It has the right camera specs to achieve a picture-perfect shot at any time of the day. The S7 has stepped up its game with a dual-pixel rear camera, thus, making low-light pictures easier to capture. It has integrated a 12MP camera despite the S6 being 16. You might have wondered, why? The 12MP camera included larger, higher number of focus pixels enabling the said camera to focus faster and perform better in low light. It also featured a CMOS 5MP front camera for snapping smooth, post-worthy selfies. If you have a problem taking selfies in dark places, you may also make use of its Selfie Flash mode to capture your selfie shots better. With regards to its video shooting capability, the Samsung Galaxy S7 can carry a 4,000 resolution at 30 fps from its rear camera and a 1080p from the selfie, which only means one thing: a good alternative for shooting travel documentaries! For MetroPCS mobile phones, the Samsung Galaxy S7 is worth the contract. 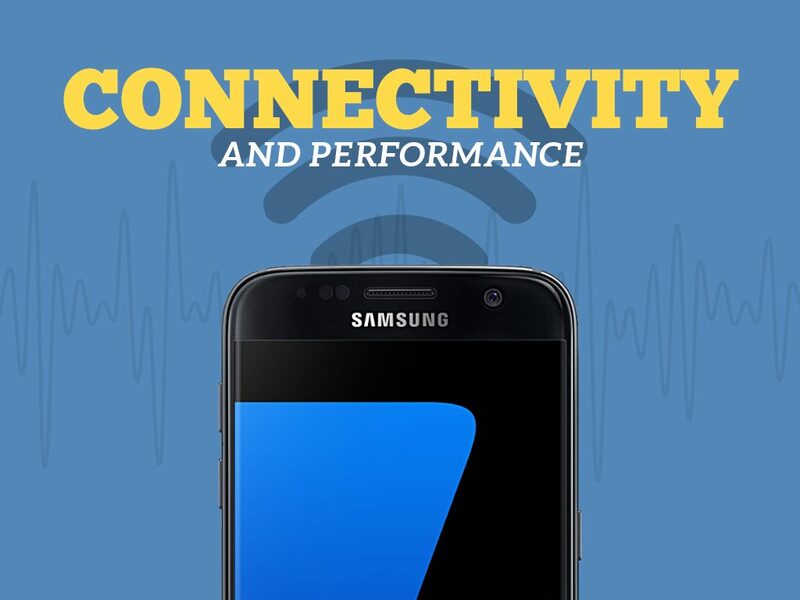 Aside from its built-in connectivity protocols Wi-Fi 802.11, Bluetooth 4.2, ANT+, NFC, GPS GLONASS, and USB 2.0, it is also integrated with Samsung’s Smart Switch that enables a faster PC sync. Moreover, its network is also deployed with LTE connection supporting fast browsing, and streaming online. It also supports good voice-over-LTE (VoLTE) and Wi-Fi calling. In this time and era, mobile users are more informed of the specs that they should focus on. The good news is, Samsung knows that. Thus, in this flagship phone, a user can expect that the smartphone’s free of lags and can very well launch apps without slowing down. 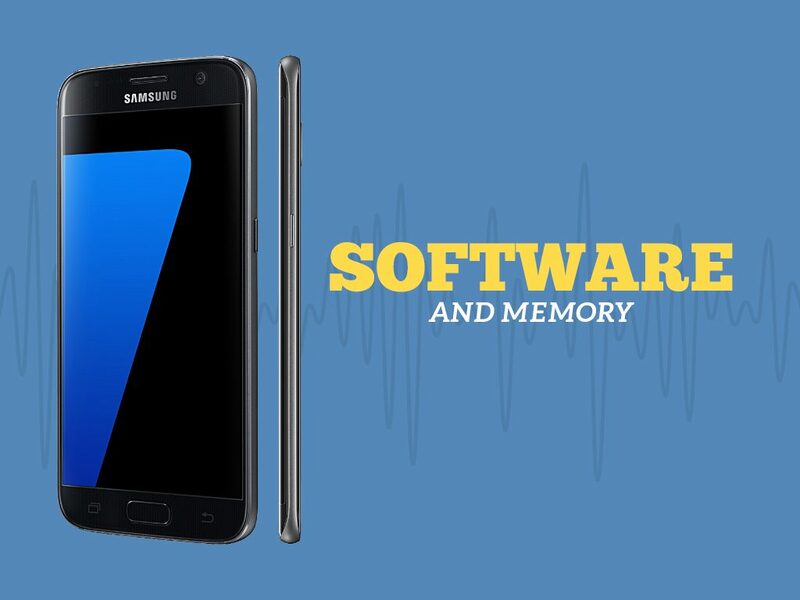 Thanks to the S7, it is powered by a quad-core Qualcomm Snapdragon 820 clocked at 2.15GHz processor that fulfills the needs of the majority of mobile users. Moreover, the S7 is also equipped with an impressively huge battery capacity of 3000mAh matching up to the heavy specs of said model. The Samsung Galaxy S7 is also revved up with Samsung’s exclusive custom UI skin along with Android 6.0.1 Marshmallow on top of it. It included restyled icons and a simpler home screen and app drawer customization to make it user-friendlier. 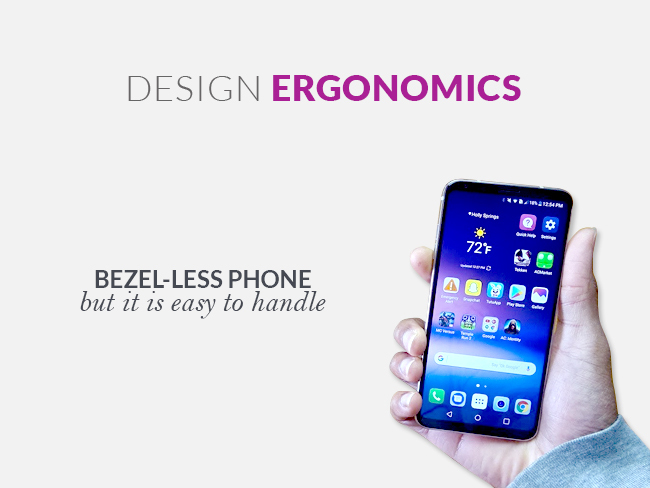 Among its interesting features is the Always-on screen, which allowed users to peek on the time, battery status, notifications, and the calendar without accessing the phone wholly, thus, minimizing consumed battery life. In order to make the unit user-friendlier, Samsung allowed a maximum of 32GB for internal storage along with a 200GB external memory slot. This is so people can freely store in photos, videos, and other multimedia files in the comfort of their mobile. Good thing, MetroPCS made sure default apps didn’t compromise the benefits of the built-in memory. What’s New with the Samsung Galaxy S7 (SM-G930T1)? The era of huge, full screen mobile phones has dominated every user’s palm. However, the majority continues to cringe over not being able to fully hold these types of phones. 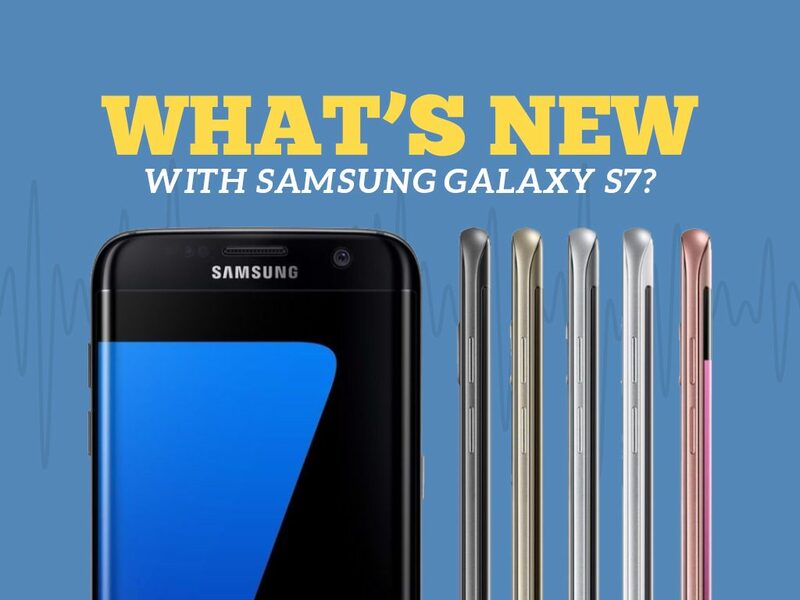 With that said, Samsung offers a completely upgraded version of their flagship phones: a full HD Super AMOLED screen with a narrower body through the face of Samsung Galaxy S7. Moreover, it also featured a solution to the one of the most common issue – water. Through its rated IP68 water resistant technology integrated in the S7, it will be easier to keep the unit away from damages of water spills, splashes, or dunks that could severely destruct a phone. Even a cup of coffee spilled onto your S7 won’t be a problem anymore! 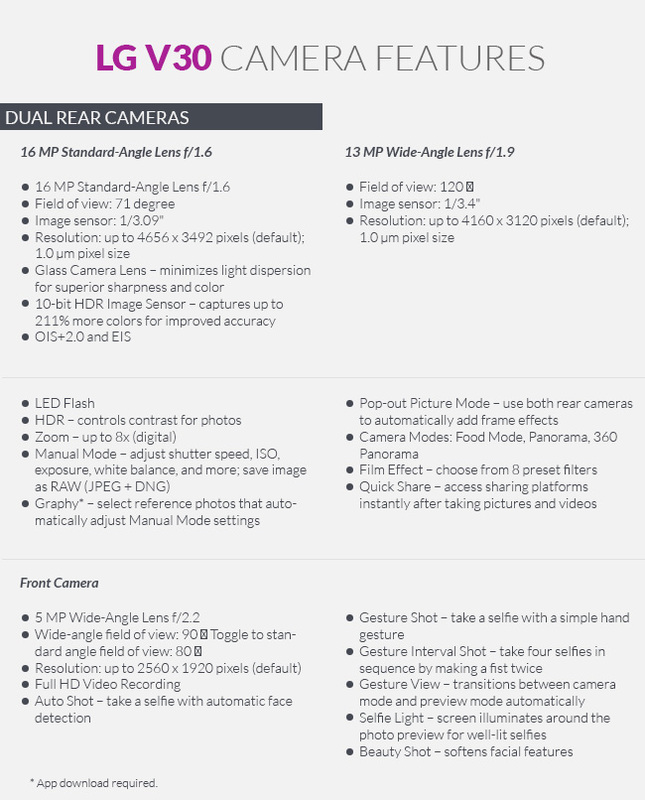 What would users look forward in Samsung’s flagship unit is the camera specs. 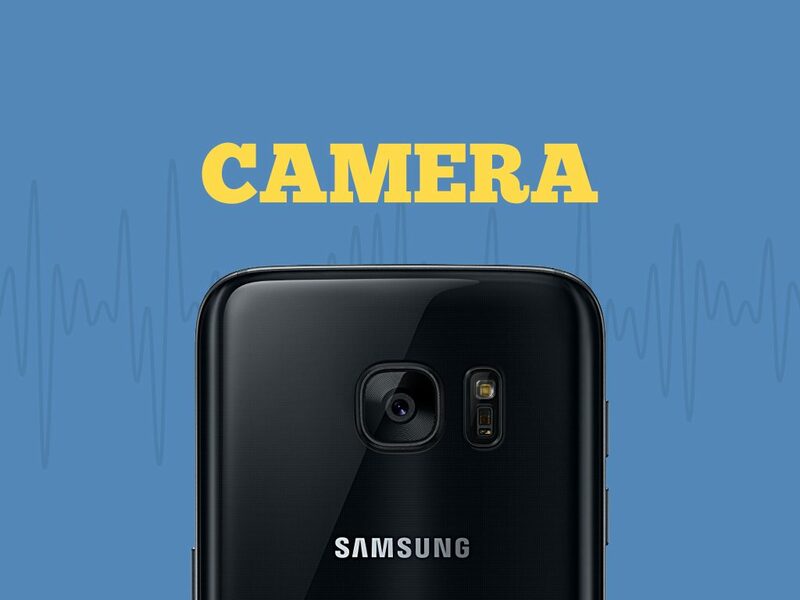 For Samsung Galaxy S7, Samsung decided to integrate a 12MP dual-pixel camera along with fast autofocus function enabling the unit to capture great photos in low light. The 5MP selfie camera also features a Selfie Flash mode, thus, enabling users to better capture photos during nighttime. Furthermore, purchasing the Samsung Galaxy S7 included the Gear VR headset as promotion during its early launch. It made the unit more likeable especially that the VR app featured tons of movies, videos, games, and others allowing the high-tech equipment to be enjoyed by users in a whole new level of mobile experience. We all have that particular experience of not being able to enjoy our premium phones due to slow, unsatisfactory network connection. Of course, this makes it frustrating given the good specs that the unit features. 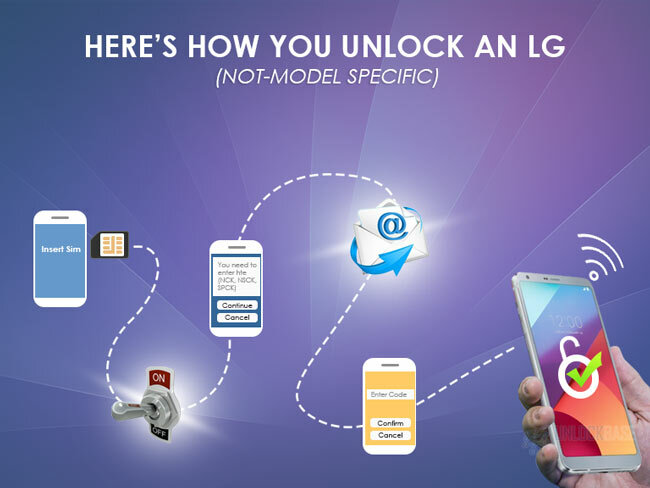 With that, UnlockBase, a trusted online mobile unlock site over the Web, aims to fulfill every mobile user’s dream of being able to enjoy the premium perks of their smartphones and the liberty of choosing between good deals from different carriers. In line with our service is the Device Unlock APP that allows a fast, safe, and convenient request-and-apply unlocking process for every device possible! 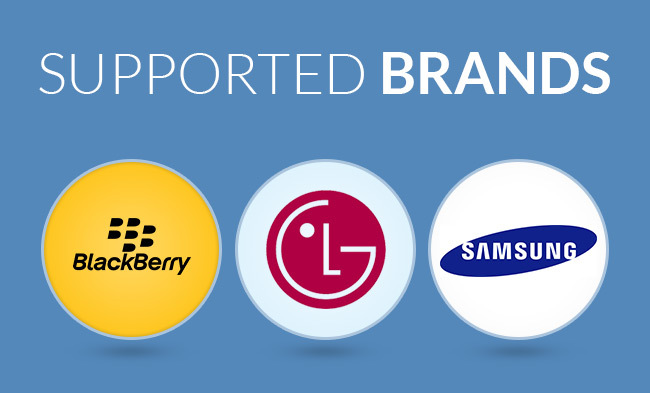 You can freely check on our site for a huge database of mobile brands and models to confirm your device’s compatibility. If you need our help, feel free to contact us here. We’ll be glad to offer our unlocking service in a fair price!